Jeff’s Auto Repair in Renton, WA has been servicing this area’s vehicles since 1997. We’ve built our reputation on superior diagnostic capabilities and auto repair services. Our shop maintains a higher standard than your average general repair shop. When we say total car care specialists, we mean just that. We specialize in automotive maintenance and repair, including services such as brake repair, engine repair, oil changes, check engine light diagnosis, emissions testing, and emissions repairs. Taking exceptional care of our customers begins the moment we answer the phone or you walk through our doors. We look forward to serving your automotive needs and getting you back on the road as quickly as possible. Any visit to our shop location in Renton can begin with a question to our ASE Certified technicians. Vehicle owners need a repair facility they can trust to provide all the necessary maintenance and auto repair services. Our team’s answer is always the same, “Yes, we can.” Jeff’s Auto Repair is the full-service facility that always delivers service expertise and quality customer service. You’ve found a highly-qualified team to dedicate its talents and state-of-the-art diagnostic equipment to your vehicle. Our expert techs are busy servicing, fixing, and enhancing vehicles throughout Renton. We’re just waiting for you and your vehicle so we can provide our higher standard of services. We treat our customers just like family. That means we alway look out for our customers’ best interest. Trustworthy is the most important characteristic for any auto repair shop, and that’s our number one priority. We strive to earn your trust but never letting you worry about your vehicle’s maintenance or repairs. Auto service is very necessary, but can also be very stressful. Jeff’s Auto Repair employs a team of service experts that treats your vehicle like their own. Quality automotive repair is one of life’s most important necessities and our techs are your best option. Experience worry-free and hassle-free services repairs and maintenance for as long as you drive your car, truck, or SUV. We’re not just here for today’s optimal performance, but also for tomorrow. When you visit us today for quality maintenance, you won’t need to come back for tomorrow’s expensive repairs. But even if you do, we’re the shop to handle it. Come Visit Our Renton Location! Our team is looking forward to meeting you and your vehicle. It’s our passion and our pleasure to meet new customers and service new vehicles at our Renton location. Give us a call today at 425-226-5056 to schedule an auto repair appointment. We put you, and keep you, on the road to peak performance. 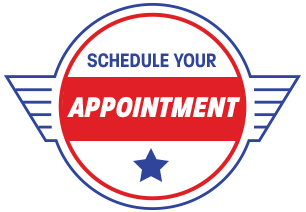 Save yourself some time by scheduling an appointment right now! Use our convenient online scheduling system and we’ll meet you here on a day and time that’s best for you. Our team also gladly welcomes walk-ins so stop on by 505 Park Avenue N the next time you’re in the Renton area.